ATTENATION AGENTS: PROPERTY IS UNDER MULTIPLE OFFER SITUATION. 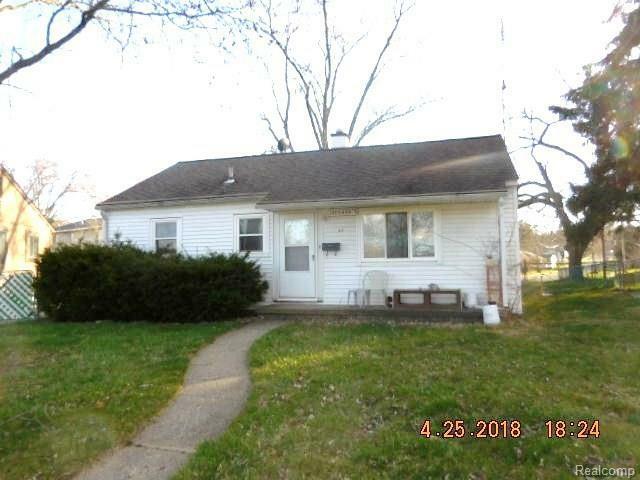 ALL OFFERS MUST BE SUBMITTED AT HIGHEST AND BEST BY 2/28/2019 at 5:00PM*** THREE BEDROOMS VINYL RANCH WITH A GREAT CURB APPEAL LOCATED ON A BEAUTIFUL STREET WITHIN WALKING TO DOWNTOWN YPSILANTI AND IS VERY CLOSE TO EASTERN MICHIGAN UNIVERSITY, PARKS, RESTAURANTS, SHOPPING AND MAJOR DINING DESTINATION. PARTIALLY FINISHED BASEMENT, FWA, BEAUTIFUL LARGE LAYOUT!! PROPERTY IS BEING SOLD IN "AS IS" CONDITION, NO SELLER DISCLOSURE STATEMENT, . ALL DATA ARE APPROXIMATE, SELLING AGENT TO CONFIRM ALL DATA PROVIDED IN THIS LISTING.